It is hard to put into words the wholeness that yoga has brought into my life. It has saved my life, steadied my mind, and opened my heart. I first came across yoga as a child through my mother, who sometimes did a yoga DVD at home when I was young. I enjoyed it as a fun game - twisting, stretching, and rolling alongside my mom, and it has remained a fond memory of my childhood. My childhood growing up in a small town with a disconnected family life was one that had many positive experiences, but also many that have continued to affect me in my adult life, manifesting as depression, anxiety, and anger - which I have only began to understand recently through my yoga journey. This began my first year in college when I needed an elective class - and yoga both seemed intriguing to me and fit perfectly into my class schedule. I learned so much more about the physical asanas and the tradition of yoga during this time, but I had not developed a personal yoga practice much beyond the class. I continued my university education studying psychology and hoping to save the lives of those with mental health struggles. I felt passionate about healing others, but I never truly felt sure that working in the Western based system of healthcare was my purpose. I met my now partner and husband, Chaz, who has remained the ultimate supporter of my dreams, around this time. After graduating from the University of Texas in 2012, I really had no idea what I wanted to do next. I felt very alone in the big city of Austin, and hadn’t made many close friends. Unexpectedly, I then kind of fell into the opportunity to nanny full time for a family with adopted special needs children, due to my background in Psychology. Here I stayed for over 3 years, watching these sweet girls grow and become their own unique selves. 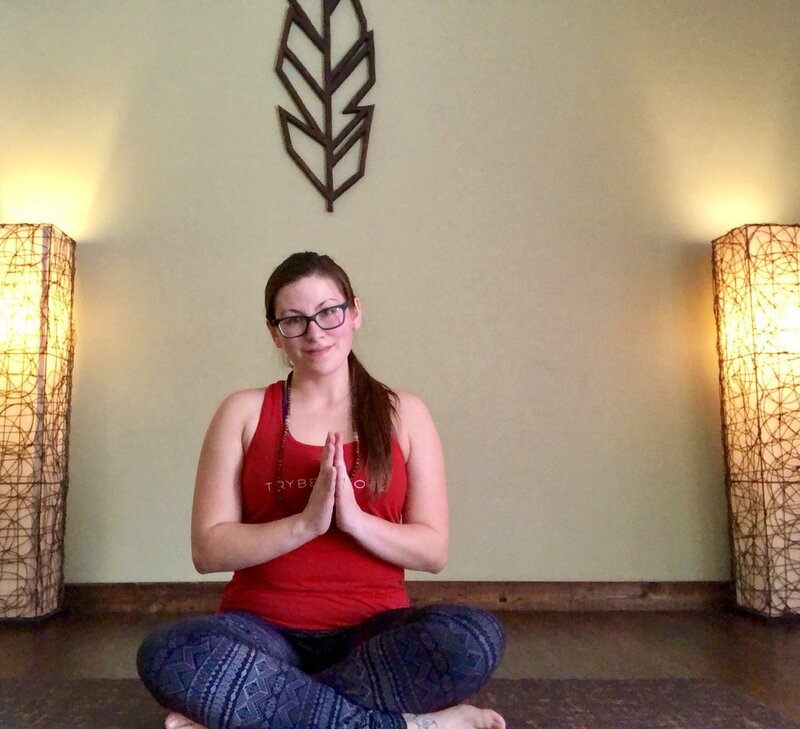 During this time, I began to find my way in and out of yoga studios around Austin, and felt a more spiritual connection than ever before with my practice. Once the children I had helped care for and come to love as family began kindergarten, I was again searching for where to go next. By this time, we had bought a home in Cedar Park, north of Austin. I had also really found myself through my yoga practice, over time uncovering new layers of my being, and working my way through my depression and anxiety I had been previously consumed by. The beginning of this journey of self-exploration had so much to do with the discovery of my yoga home, Trybe Yoga. When we moved to Cedar Park, I was fortunate that such a nurturing space to practice was available to me. Here with the gentle guidance of my teachers, I delved deeper into my yoga practice, both physically and spiritually. I came across a position after much searching to teach at a small private school in the area, where I have since been able to grow in my teaching of children and knowledge of education. After a year working with preschool age kiddos, I currently teach the kindergarten class, and am blessed to have a classroom filled with many wonderful and inspiring young souls. However, something has continued to be missing in my career path and life purpose - the true connection of energy with others and possibility of healing that I have only experienced through yoga. Then, when Trybe Yoga offered a yoga teacher training in 2017, I knew in my heart this was the right next step on my path. After this experience, I feel my life and perspective have shifted so much from who I once thought I was, to who I see myself fas today. I am humbled and eternally grateful to now have the honor to lead yoga practices for others, and to help spread light and love to the world through my own experiences and positive energy. I look forward to all the yet-to-be-learned lessons I will learn along the way as a grow in my teaching and my own practice alongside my students. Hope to see you on the mat. Always remember you are loved. Namaste.